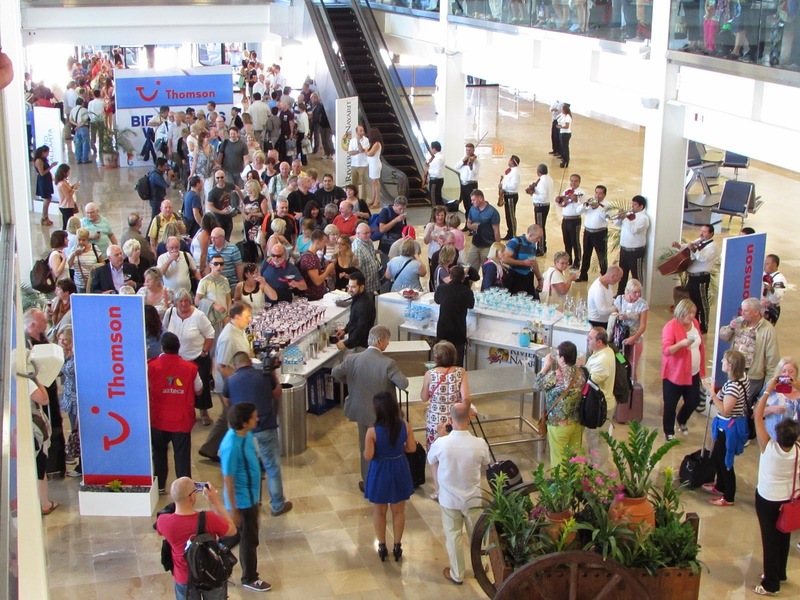 The first direct flight of the season arrived from Manchester to the Vallarta-Nayarit International Airport carrying 270 passengers; another direct flight from London will follow on May 3rd. The Vallarta-Nayarit International Airport welcomed the first non-stop direct flight that inaugurates the new season of weekly trips by TUI from England to the Riviera Nayarit. The inaugural flight arrived on May 1st around 3 p.m. with 270 passengers on board; on May 3rd another new flight from London will touch down as part of this estimated three-year agreement. The passengers arrived to a special welcome that included the presence of Duncan Taylor, British Ambassador to Mexico; Sharon Johnstone, TUI Area Manager for Mexico and Cuba; plus Ignacio Cadena and Fernando González Ortega, the presidents of the hotel and motel associations for Puerto Vallarta and Banderas Bay, respectively. The teams from the Riviera Nayarit and Puerto Vallarta convention and visitors bureaus were also present, along with their respective directors, Marc Murphy and Rolando Miravete (in that order). Mariachi music filled the air as the passengers arrived at the terminal; among the first in were Sue Bradley, General Manager for Long Haul, Thalia Mitchell, Product Director for Long Haul and David Pastor, Purchasing Manager for TUI UK. “Puerto Vallarta and the Riviera Nayarit are ideal for several different markets, including families, honeymoon, romantic getaways, scuba diving, epicureans and foodies. Mexico is definitely a fun in the sun destination, but there’s so much more to it,” added Rivera. These two weekly flights are the only direct flights from England to the Pacific, thanks to the Boeing 787 Dreamliner from Thomson Airways, which is specially adapted for long-haul flights.